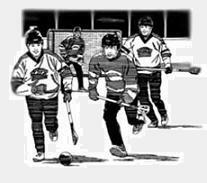 NO GOAL FRAME IS INCLUDED. 10 Feet x 14 Feet Square Panel. 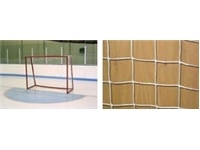 Enough to cover a broomball goal measuring 6' high, 8' wide, 2' deep at top, 3' deep at bottom or smaller. Can be trimed to fit a smaller goal frame. 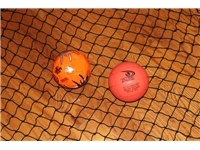 Constructed of commercial grade #18 (1.9mm) nylon 1 7/8" x 1 7/8" mesh. Net has been treated with UV inhibitors and should last for years of regular use. Attaches to goal frame by "fishing" nylon twine (sold seperately) around goal frame and netting. No goal frame is included (picture is meant to show netting installed on 6'x8' goal frame). Note: This net has a tighter mesh grid that does not allow balls to pass through the netting. 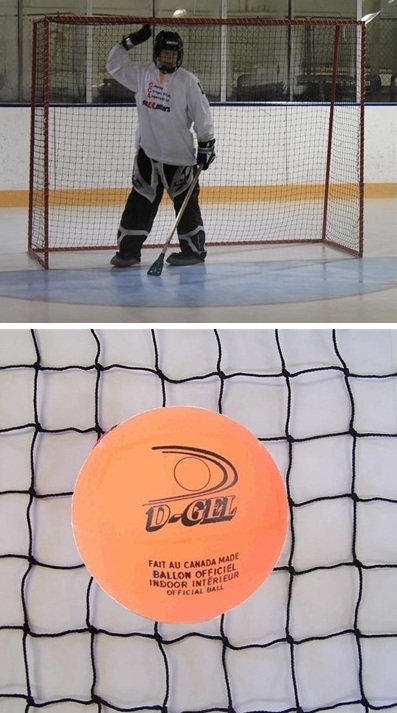 Beware of 4" x 4" mesh nets as broomball balls can still can pass through.